SITUATIONS is pleased to announce Brooklyn-based artist Becca Albee’s solo exhibition prismataria, opening September 9 and on view through October 15. 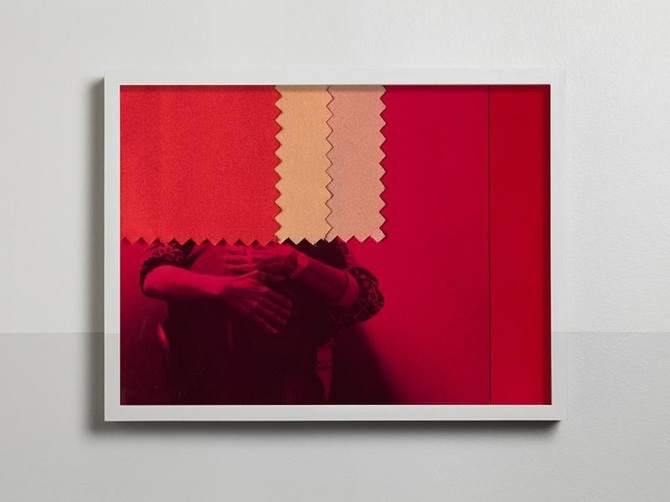 Featuring color photographs displayed in a specially designed installation with kinetic light projections and diffused scent, it is the third in a suite of exhibitions exploring the intersection of color theory with feminist practice. In several of the photographs, Albee has placed color photographic gels, seasonal-color-analysis swatches or color-matching cards, on the pages of textbooks from “Women’s Health & Healing,” a course she took as an undergraduate at Evergreen State College in Olympia, Washington. As she was quoted in Artforum earlier this year, “Its emphasis on grassroots activism and practical self knowledge had a profound impact on me, as I was studying feminist history and was very involved in the riot-grrrl milieu of Olympia.” Each photograph contains a carefully created system to connect and/or highlight the content, color and design – suggesting a revisiting and possibly revising of these urgent materials. One image pictures the dedication page from the book, A New View of a Woman’s Body, a second wave feminist health book, with the dedicatees listed by first name only, a list that reads like a poem. Other photographs were taken inside the Prismatarium, a large circular room (originally a “ladies’ lounge”) in the Aquatic Park Bathhouse, a building constructed in San Francisco by the Works Progress Administration in the 1930s. The Prismatarium was designed by Hilaire Hiler, an artist, psychologist, musician, and color theorist. Hiler’s mural in the room begins with a custom color wheel of thirty hues at the center of the ceiling, and it radiates outward, extending down the walls in bands of neutral gray. 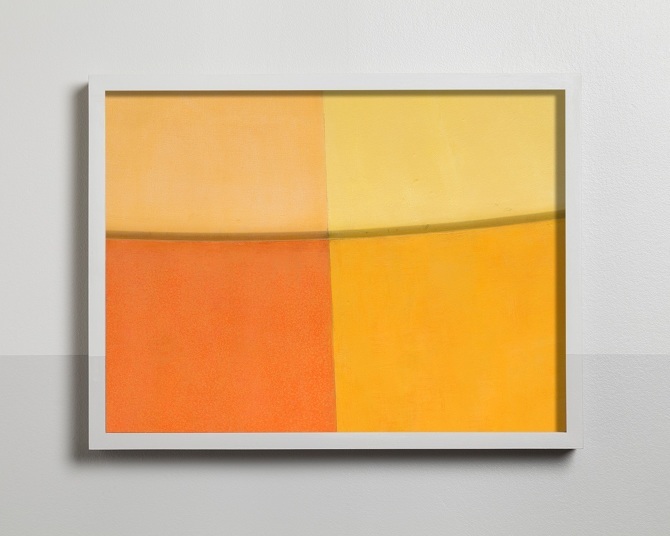 Some of Albee’s photographs focus on sections of the color wheel mural and she has painted the gallery walls in similar gray bands, extending them even across her photographs’ frames. On the ceiling of the exhibition space, Albee has created a light source with a revolving cylinder of color gels that slowly rotate. Based on an unrealized light fixture element of Hiler’s Prismatarium, the fixture bathes the photographs in cyan, magenta, and yellow light. The effect activates her pictures of Hiler’s color wheel and the color elements in her feminist-textbook photos. Instead of using the gels in the traditional way — over the camera lens or flash — Albee has moved them into the space occupied by the viewer. With these images, she evokes the enduring importance—and fresh relevance—of these texts in our present moment when feminist clinics are disappearing, and healthcare and bodies are under attack. BECCA ALBEE was born in Portland, ME, and lives and works in Brooklyn, NY. Previous versions of prismataria were exhibited at 356 S. Mission Road in Los Angeles and Et al. in San Francisco. This project was developed in part at Yaddo, The Irish Museum of Modern Art, Real Time & Space, Villa Lena, Cow House Studios, and Artlink Ireland. This exhibition was supported by a PSC-CUNY Research Award and a Foundation for Contemporary Arts Emergency Grant.